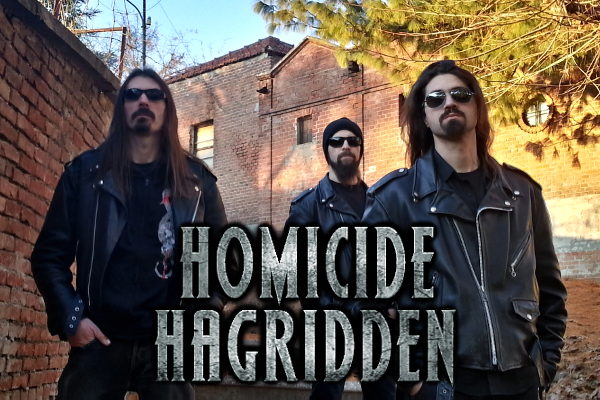 Italian underground band HOMICIDE HAGRIDDEN was born with the name of DEATH SLAUGHTER, along with moving to different musical tastes, changed the line-up and today's HOMICIDE HAGRIDDEN, still maintains the strongest training in their history. Stefano Moda, Massimo Moda and Davide Ruo Roch, three heads but only one aim, initially recorded two demo-tape and a EP, until the first full album "DEAD BLACK SUN" released through a Japanese label in 2005. 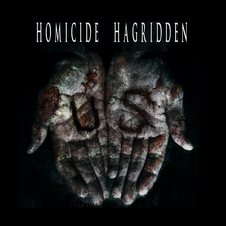 HOMICIDE HAGRIDDEN has released the EP was titled "MECHANISM DEAD" in 2011 for the digital distribution only. In 2012, they released the new album "US", which was recorded and mixed at Orion recordings studio in Italy and mastered at Hertz studio in Poland, through Buils2Kill Records worldwide physically and digitally. The band has been an opening act on the Italian tours with bands such as VADER, GORGOROTH, EXHUMED, CEPHALIC CARNAGE, SAMAEL, MELECHESH, KEEP OF KALESSIN, NAPALM DEATH, and had the Ukraine tour with ten gigs. It is well worth checking out this band if you are a fan of the band such as Metallica, Slayer, The Haunted, Testament and Anthrax.